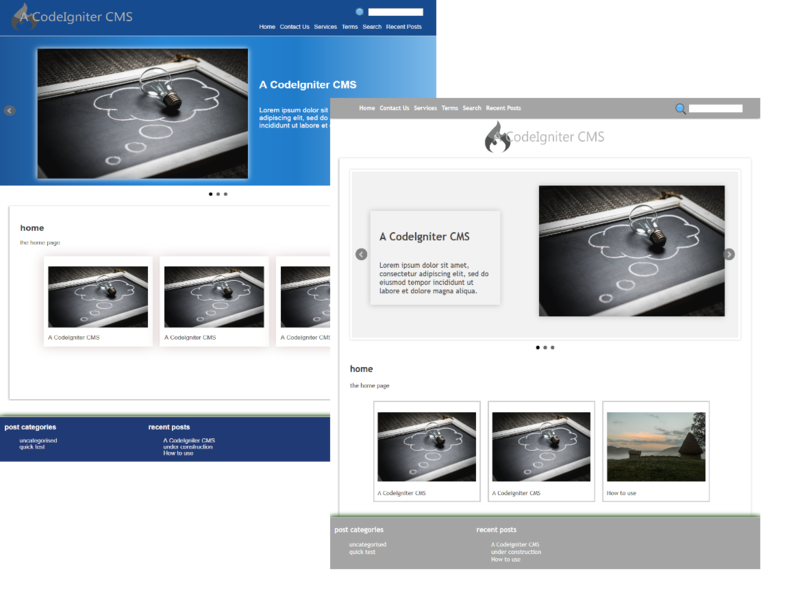 A CodeIgniter CMS v1.0.5 Comes with new main page slider features! A CodeIgniter CMS v1.0.4 Comes with two new preinstalled themes! White Label CMS, download yours now, free! 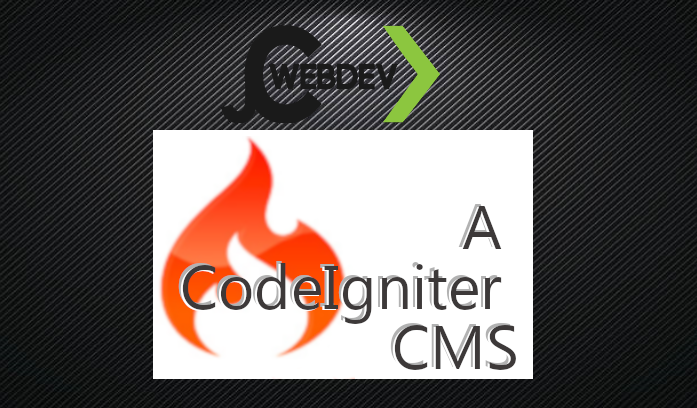 Have a look round our Content Management System written using the CodeIgniter framework. Open Source, free to download and use. Get yours now!